The Nordic Investment Bank (NIB) and Lidl Lietuva have signed a ten-year, 50-million-euro loan agreement to finance the German-owned grocery chain's expansion in Lithuania in 2017–2019. The expansion is in line with Lidl's growth strategy in the Baltic countries. Food products account for a significant share of Lithuanians' household expenditure, so market diversification will have an impact on disposable income", said NIB President and CEO Henrik Normann. The Lidl chain is part of the Germany-based Schwarz Group, Europe's largest grocery retailer by sales which also owns Kaufland. 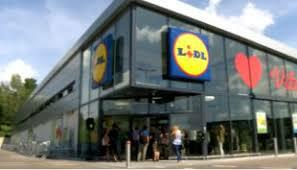 Lidl has over 10,000 stores in 29 European countries and in the United States. Lidl, which entered the Lithuanian grocery market in June 2016, held a market share of 6.5 %in late 2017 with 35 stores and a warehouse in the country. The retailer plans to continue its expansion in Lithuania in the coming years.